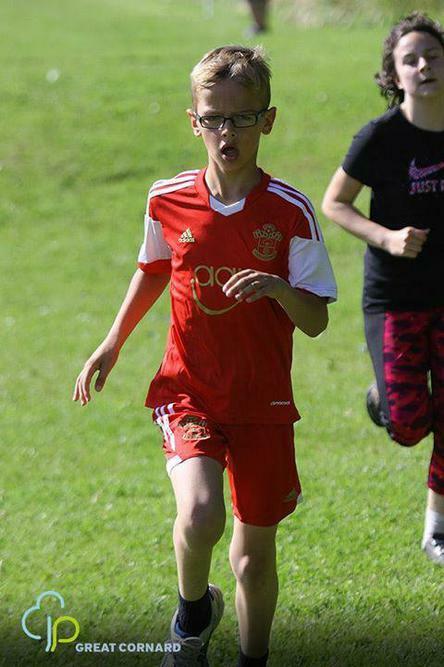 Ruby has really thrown herself into her running and continues to take part in the Great Cornard Junior Park Run. She is so committed to this weekly event and really enjoys taking part. Ruby's attendance and participation is outstanding and on Sunday 2nd July, Ruby was awarded with her Ultra Marathon wrist band and certificate. Not only is she the first Great Waldingfield Primary School pupil to join the Ultra Marathon Club, she is one of just a handful at this event! This means that Ruby has completed 50 park runs, running a total of 100 kilometres, which is over 62 miles! Not bad on those little legs! She may not be the quickest, but she has bags of determination and staying power, come rain or shine. A big congratulations from all of us! Congratulations to Fearn who gained Dancer of the Year for U14 in regional event and now goes forward to the Nationals later on this year. 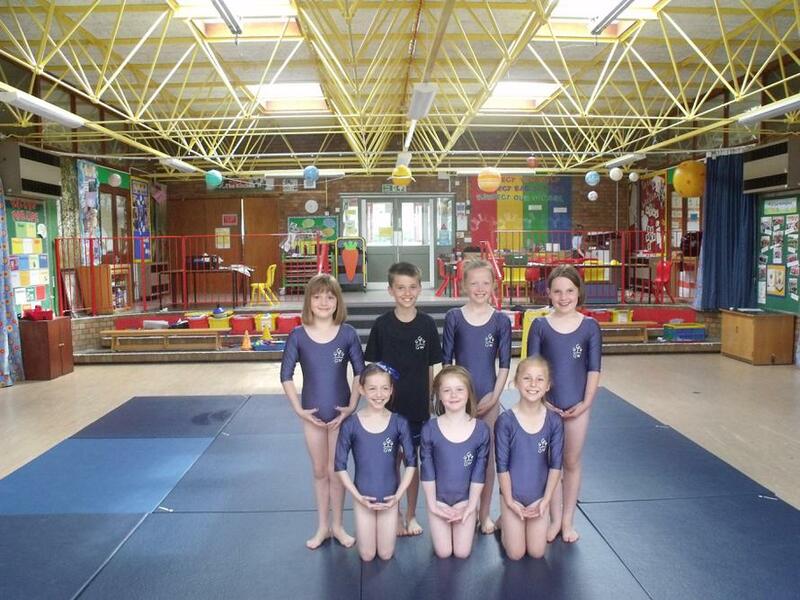 Congratulations to our gymnasts who reached the County Finals for Primary School Games Gymnastics which took place on Friday 7th July. The children had an amazing day at Bury St Edmunds where they took our school banner to use in the procession in the morning and then in the afternoon took part in the County Finals representing our school. The children did amazingly well and came 3rd out of 10 schools which we were immensely proud of. 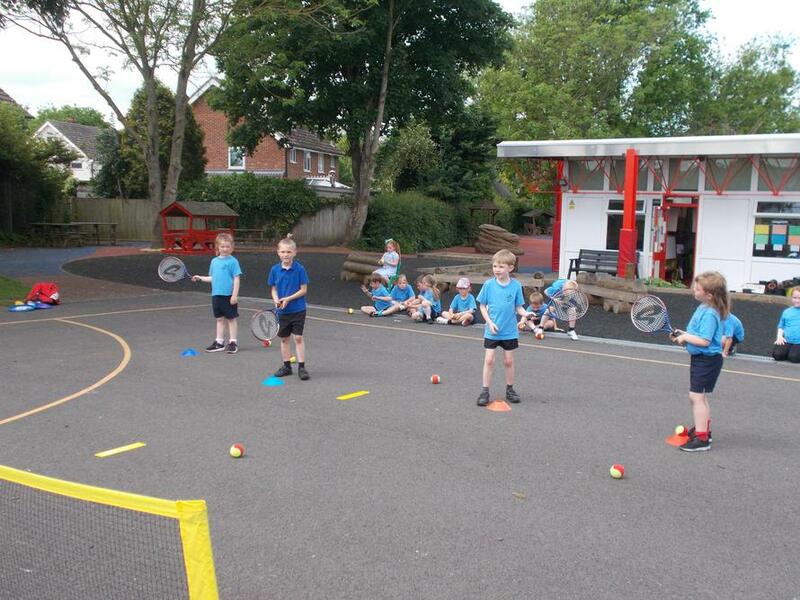 Mrs Sawyer said the children were a delight to watch and we would like to give a big thank you to Christine Baalam, our sports coach, who has done an amazing job coaching the year 3 children this year. 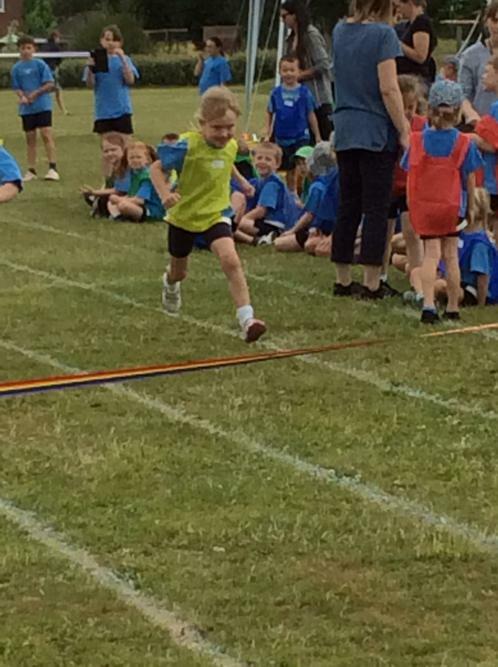 Sports day finally took place on Monday 3rd July for Key Stage One after being postponed from the week before. The children had a lovely morning and were supported by year 5 Sports Leaders in the field and track events over the course of the morning. The children went to each field event in their Tribes with the year 5 sports leaders and gained points which were totalled up at the end of the rotation round the field. Moving onto the track events Saplings, Maples and Willows did themselves proud completing the obstacle, sack and short sprints cheered on by their Tribes and family members who came to watch. A toddlers, Mums and Dads race finished off the morning well before we had a picnic lunch on the field. Sadly the weather turned in the afternoon and so although the field events took place rain meant the track events were postponed until the following afternoon. 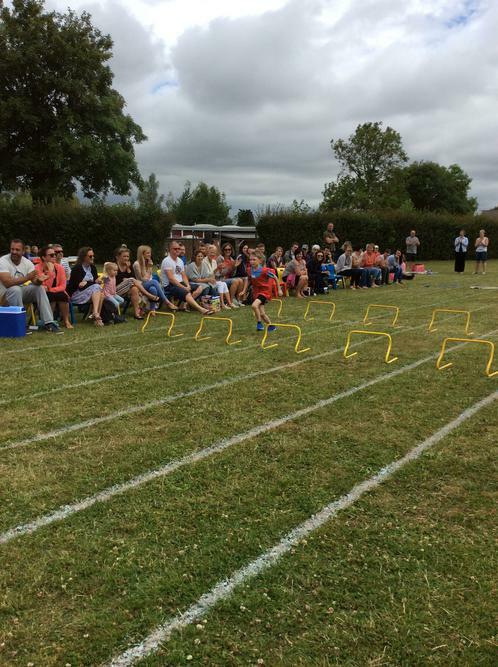 Thank you to all the parents and family members that came to watch and support the sports day over the two days. 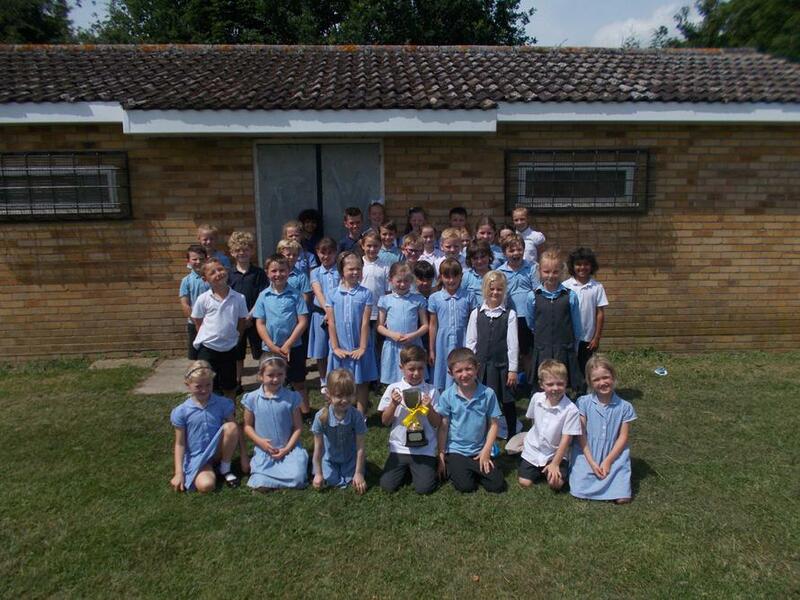 Newton were delighted to be announced as Tribal winners for the second year in a row and they were all presented with the cup together at the end of the week. June has been a busy month for sport at Great Waldingfield with a lot of preparation for the Quik Cricket Tournament at Cavendish. Mrs Mitchell took our Year 5 children to this competition and although we didn't get to the finals, the children had a fantastic experience playing teams across the Sudbury, Cornard and Haverhill pyramids. Mrs Mitchell was very impressed with the children's perseverance and team spirit throughout the afternoon. 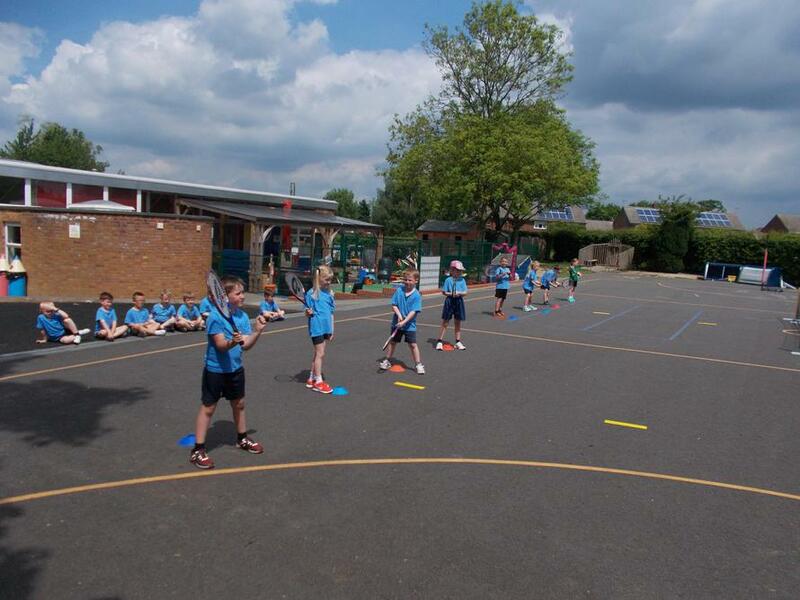 The end of June saw 15 of Year 6 children go and take part in the School Games Rounders Competition at OSA for the morning with Mr Sandford. 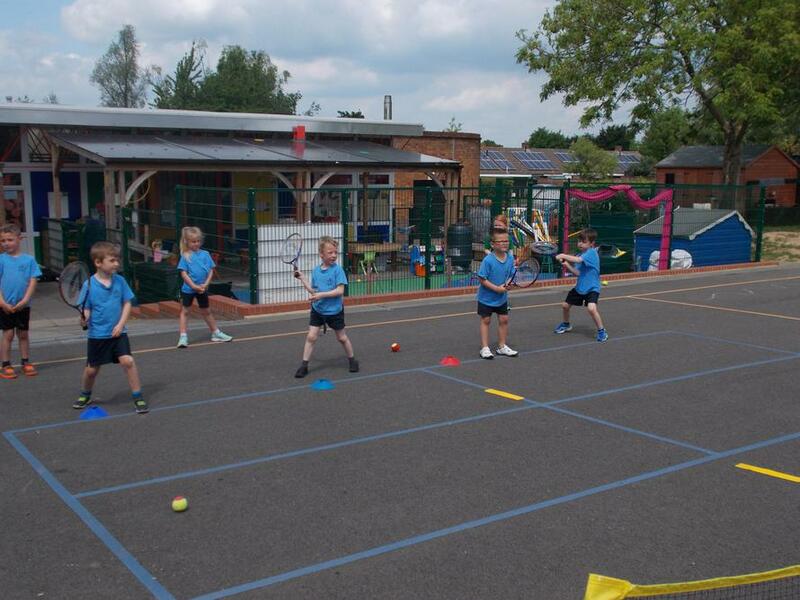 The children had a series of matches to play and were delighted to come back to school at the end of lunch to tell us all they had won all their matches and had gone through to the County Final which is taking place on the 12th of July. Another fantastic sports result for our school. 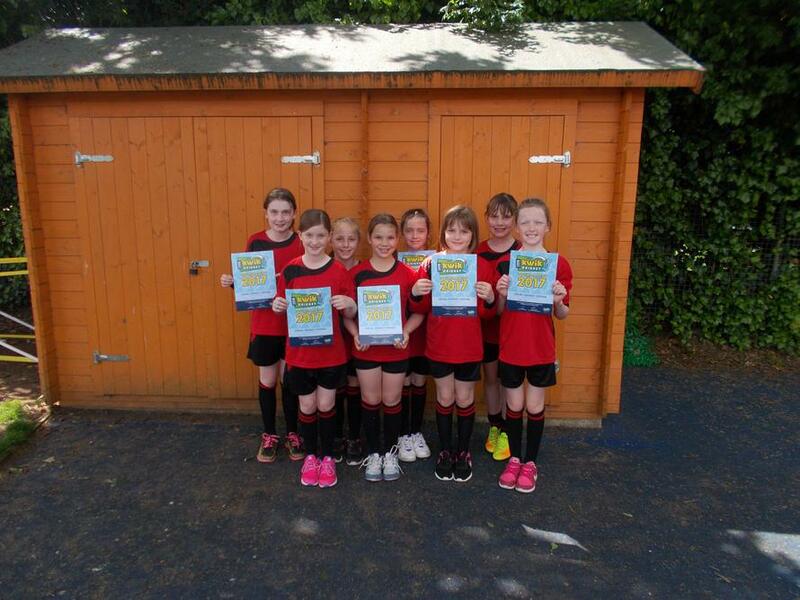 Congratulations to our two netball teams who took part in the School sports competition in May. Both teams played really well and our first team managed to gain the silver position after getting to the finals. A lot of determination and skill was shown throughout all of the matches and support between the teams. Thank you to all the parents who came to watch and cheer on the children. A special thank you to Mrs Nippress who has done a brilliant job of coaching the children in netball club and at the competition itself. 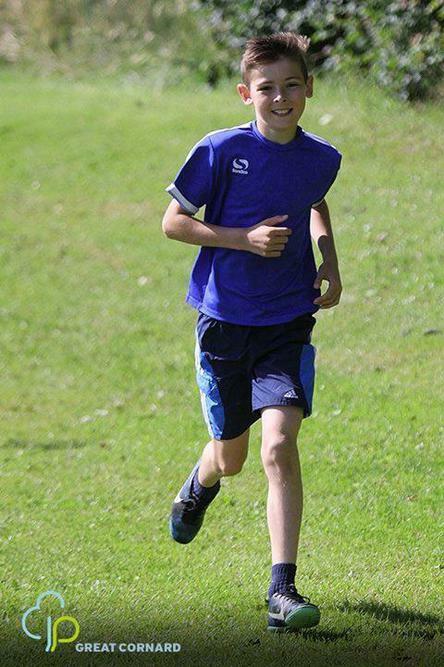 Congratulations to Reuben who has gained his marathon wristband doing the Parkrun every sunday! A fantastic effort! 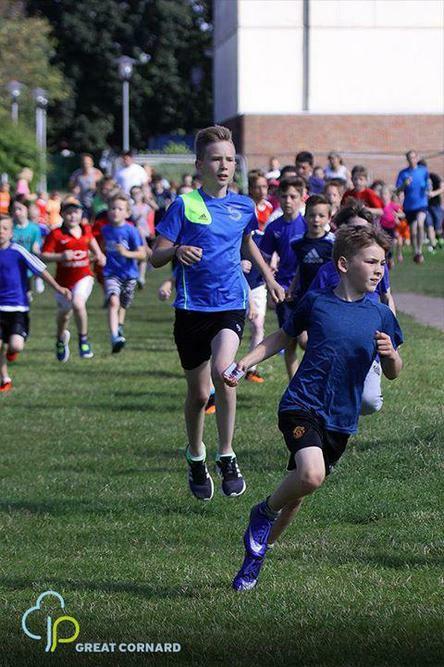 Just a reminder that Junior Parkrun takes place every Sunday behind Cornard Sports Centre at 9am. This is a fun free timed activity for all children aged 4- 14 years. 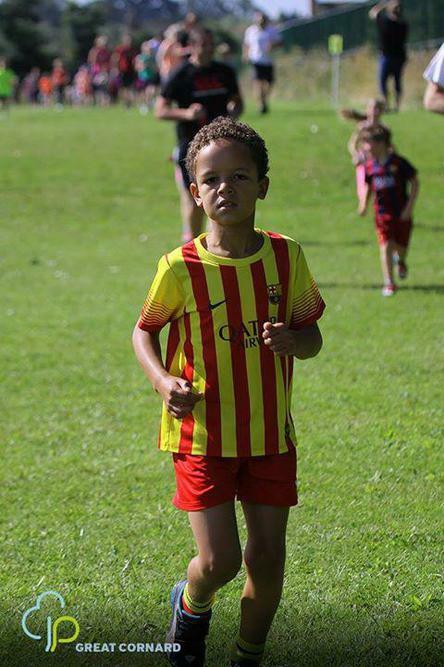 Congratulations to Joshua who has gained himself a place at the U8 Ipswich Academy Squad- a fantastic achievement and another talent in our school!! Congratulations to Khan in year 3 who took part in a local bowls competition in May half term. He won this award which he was very proud to bring in and share with us all. Congratulations to our year 5 children who went over to OSA on Tuesday 9th May to take part in a touch rugby PE afternoon. The children had a fantastic time and were able to develop their own skills in this sport with sports leaders from OSA. Jasmine, Sophie and Tommy were picked out from the teams that took part for showing the school games attributes and inspiring others in their team over course of afternoon. Mrs Mitchell was very impressed with all the children's attitude, behaviour and the skills they showed. Well done all !! 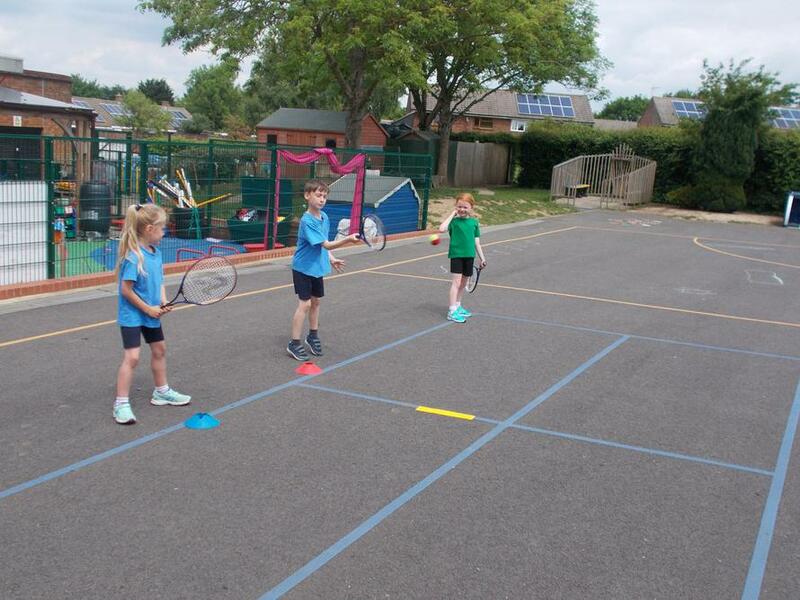 Congratulations to Isla D who took part in the Essex Tennis Games during the Easter holidays. A young talented tennis player Isla won all her matches and was extremely proud of her trophy which she showed in our celebration assembly on Friday. Congratulations to our two U11 teams who took part in the netball tournament at TGS on Tuesday 25th April. Our school was one of 13 that took part in an afternoon of netball matches which was exciting to watch! Our B team did brilliantly coming third in their group and Mrs Embery was particularly impressed with their behaviour and positive attitude in all of the matches. Our A team came second in their group which meant they got through to the semi finals against Long Melford. It was a tight game, with parents and Mrs Nippress calling out words of encouragement. Children and parents were thrilled with the final score which was 1-0 to our school! The final was Great Waldingfield v St Josephs. Sadly we lost but I am so proud of the effort the children put into their games. Ian Frost was also extremely pleased with the results as he had been doing a lot of netball in PE lessons last half term. A big congratulations to all the children that represented the school. Netball club starts again next Tuesday and I know this club is over subscribed. 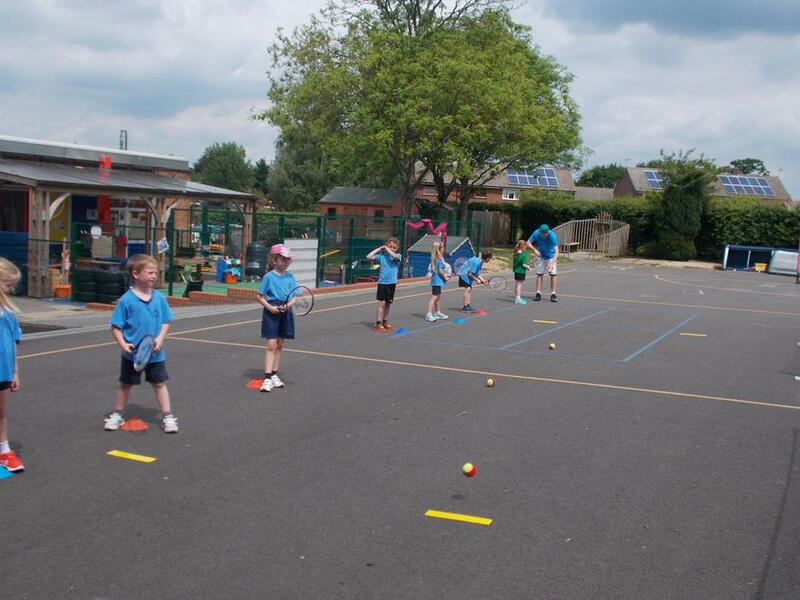 A popular sport for boys and girls in Key stage 2. Congratulations to our KS1 and KS2 squads who took part in the inter-school gymnastics competition at OSA on Tuesday 14th March. We are very pleased to announce that our KS1 squad received the bronze award and our KS2 squad received gold which means we have now been put forward to the County Finals for the third year in a row in this sport. A huge thank you to Christine Baalam our gymnastics coach for all her hard work with the children. Congratulations to our hockey teams who played at an inter school festival at TGS on Wednesday 8th February against 26 teams. Supported by Mrs Buthelezi and Mrs Ruth and coached by Ian Frost the children all displayed great team work and fantastic hockey skills. We are thrilled to announce the A team won the overall competition and are now through to the Area Finals in March. 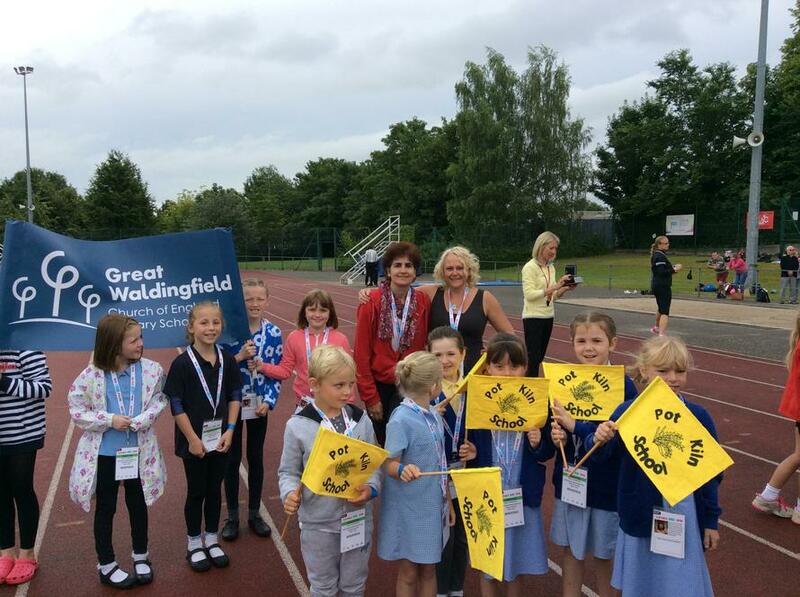 Another fantastic result of Great Waldingfield for sport! Many congratulations to our County Football finalists who played on Saturday 28th January. Our football team were up against teams from all over the county including children in year 6 from the Bury middle schools. The team lead by Billy E played very well in all their matches only conceding 2 goals in total and scoring 4 in the final match. We have been awarded 7th place in the County which is an amazing achievement when there are 250 primary and middle schools in Suffolk. Mrs Mitchell said that the children’s attitude was brilliant and it was wonderful to have such a lovely group of supportive parents for the duration of the morning as well. Congratulations to our swimming squad who took part the Sudbury and Cornard Pyramid Gala at Kingfisher Swimming Pool on 17th January. The children took part in individual races and relays during the morning. Gracie B won her race overall with a 25 metre freestyle time of 18 seconds! Mrs Longhurst said she was particularly proud of the team effort all the children made and how supportive they were of each other. Congratulations to the above children who received their half marathon/marathon wristbands at Park Run in December. A fantastic achievement. 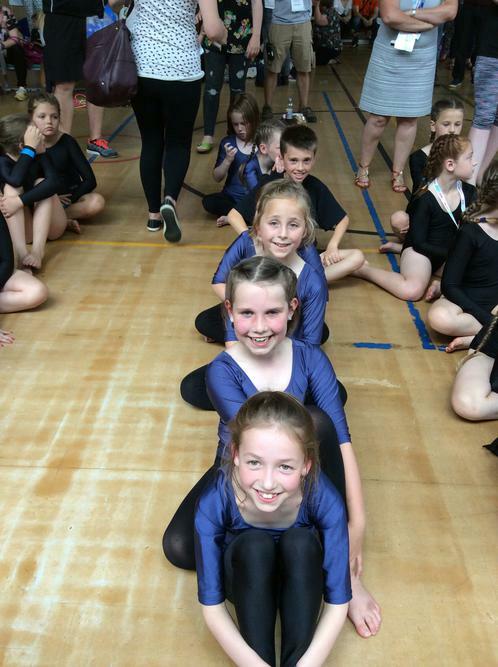 Congratulations to Fearn who took part in the Camber Sands Freestyle Dance Festival. She was a solo winner and came first in the u10 Intermediate category. Congratulations to Ruby who, last week, gained her Marathon wristband at the Junior Park Run. A fantastic effort which will, no doubt, inspire others. Congratulations to our Cross Country squad who took part in a local event at Castle Manor Academy on Thursday 20th October. The children all did extremely well and a special mention needs to go to Freddie who won the cross country event in his category. On Tuesday 18th October our U11 teams took part in a non competitive rugby festival with 15 other schools. The children had opportunities for training rugby skills and matches and had a great afternoon in the sunshine. Meet our new Sports leaders! Saplings sports leaders will be joining us after half term! We have had our first meeting this half term and the sports leaders' first job is to find out, and report back to me, how many children in each class are taking part in after school sports as well as finding out which new school sports clubs the children in each class would like to see offered. We will try and accommodate the children's wishes for different clubs as the year goes on where its possible. We would like to congratulate Ruby who was the first Great Waldingfield Primary School pupil to be awarded a half marathon wrist band. 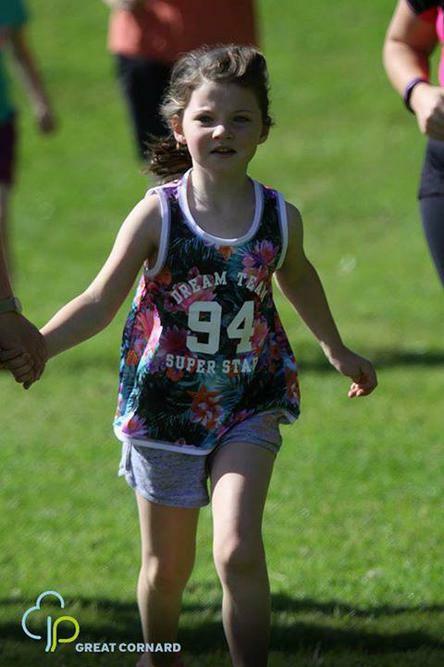 Ruby has thrown herself into the Great Cornard Junior Park Run and from the start has shown real commitment and dedication. Well done Ruby! Congratulations to Fearn who took part in the National Competition for Dance last weekend. Fearn was up against 75 other competitors of her age and got down to the last 24 children. An amazing achievement and we are all very proud of this achievement. A very talented dancer!! A huge congratulations to Ethan, Phoebe and Dylan Goodwin who gained their half marathon wristbands by the organisers of the Junior Parkrun. A fantastic effort and we are all very proud of this fantastic achievement. 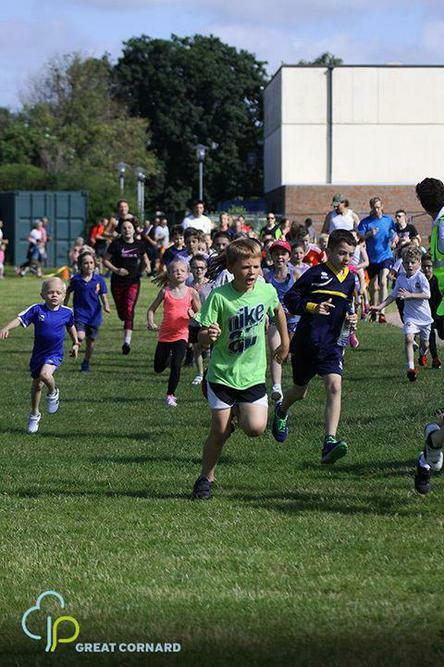 The Junior Parkrun takes place every Sunday from 9am at the Cornard Sports Centre and the children have an opportunity to run a free timed 2km circuit. It is open to children from ages 4-14. We are putting forward a cross country team in October this year and this would be a great activity for the children who would be keen to represent the school to try and do when at all possible. Congratulations to both the U11 football teams who represented the school at the Sudbury Pyramid competition at OSA on Tuesday 20th September. Every player showed fantastic determination in all of the matches played and a special mention needs to go to Freddie and Matthew for being given awards for displaying Sainsburys School Games Values. The Captains, Billy and Ronnie, did a very good job of organising their teams and will be shortly adding a report of how each of their teams got on in matches they played. We are very proud to say the Red team were unbeaten during the course of the afternoon and have secured themselves a place in the Area Final next month. Massive well done to all 39 children who have attended Junior ParkRun to support the schools community link with sport. A huge number when you consider there is an average of 120 runners taking part per week. Thank you to parents for supporting and encouraging children to do this. 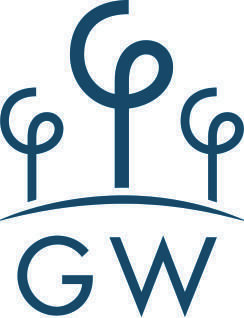 We will be continuing to support this as a school from September. This week was the last week children were being registered by school to show school and sport community links. There were a number of younger children that attended this week from our school which was lovely to see and several personal bests from both older and younger children! Well done to everyone who has come along to our four sessions to support the school and park run! This event continues throughout the summer so please carry on using this free fun facility/activity on a Sunday morning run by great team of volunteers. 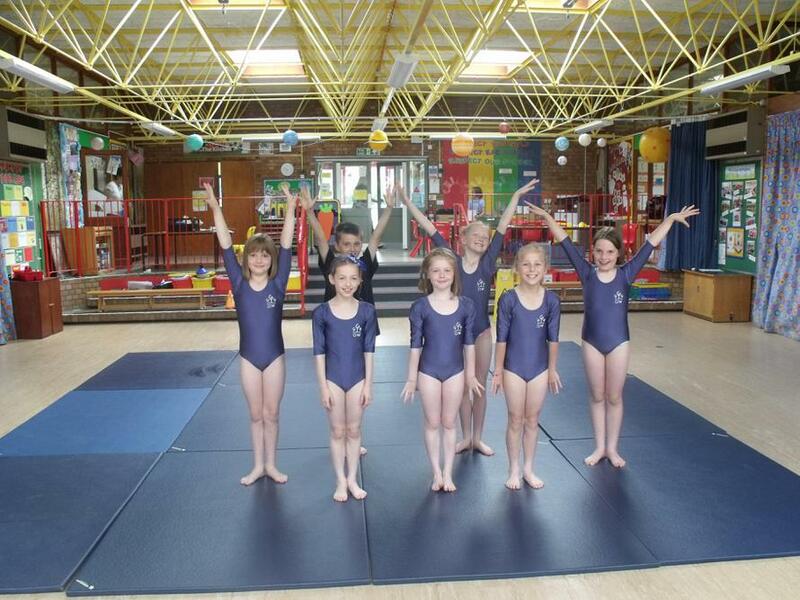 Congratulations to our year 4 gymnastics squad who took part in the County Finals. Our team did really well and came fourth out of ten schools. The children looked very smart in their brand new gym kit and thoroughly enjoyed themselves. 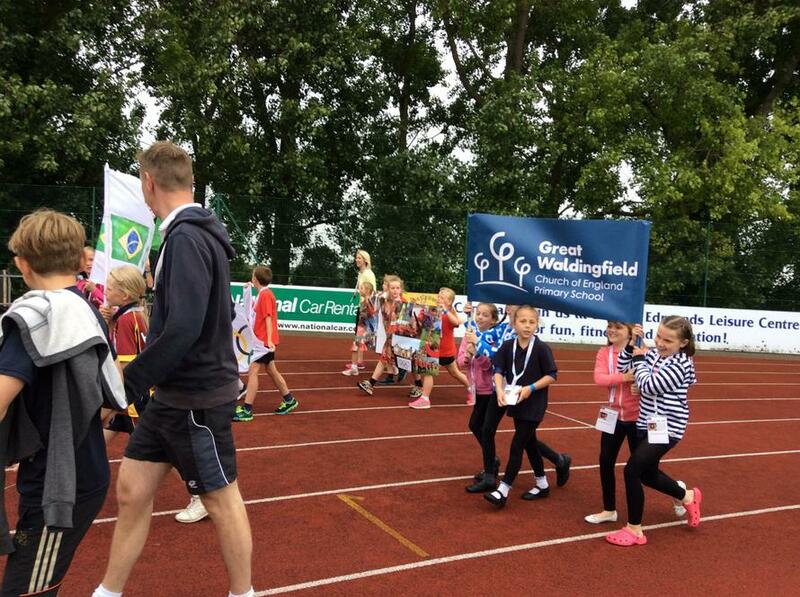 Congratulations to all the children who made our Sports Day such a success. Both the morning and afternoon sessions for EYFS/KS1 and KS2 went really well and was well supported by many family members. Congratulations to Newton who were the overall winning tribe at the end of the afternoon. Huge congratulations to Billy E for getting the Annual Sports Award this year for outstanding achievement in sport, both in lessons at school and representing the school in club competitions and sporting links with the community. This week we had 35 children from our school taking part in the Junior park run being cheered on by Mrs Ponsford and Mr Sandford. 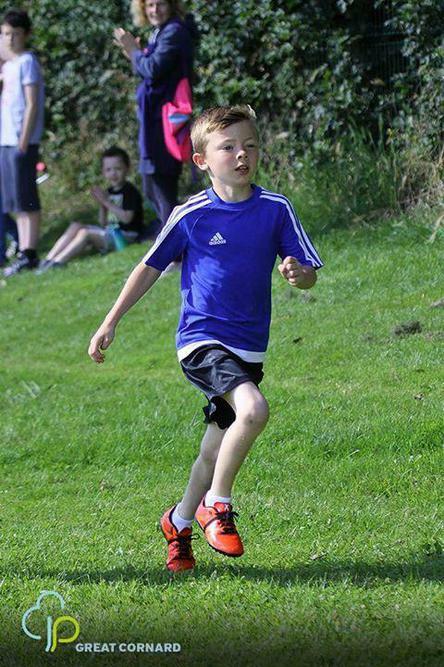 Many children achieved PBs and Freddie B came first out of 125 children aged 4-14. Well done everyone that came along! 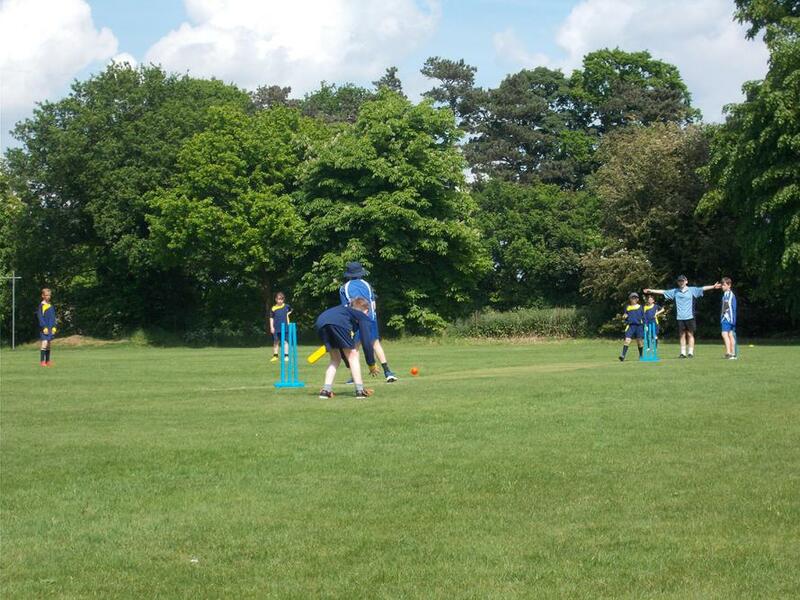 On Wednesday 28th June our U11 cricket team went to the Area Quik Cricket Finals at Cavendish Cricket Club. Our team of 8 consisted of Matt B, Thomas, Joshua, Billy N, Oliver, Billy E, Ty and myself. We played Nayland A, Hundon and Nayland B. We tried really hard in all our games and there were some great individual performances of batting and fielding. We came 3rd in the Area final overall which we were pleased with. Well done to the team. This Sunday 26th June was a wet Junior ParkRun but I'm very proud to say we had many runners out doing the 2km including some children who hadn't been before. Well done to all of you! A huge congratulations to Fearn a very talented dancer who has got through to the Nationals in October after competing and going through in the regional round in Cambridge! An amazing achievement and we can't wait to see how she gets on later this year! 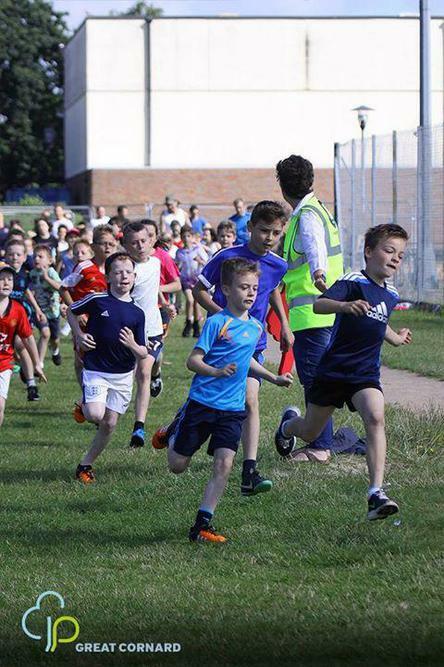 A very big well done to all those children mums and Dads that came and supported our community sports link this sunday and took part in the Junior Park Run! We had 32 children from our school attend this Sunday which was fantastic! Fastest child in our school was Freddie B with an amazing 8 minutes 34 seconds! Well done to our Junior Park Run competitiors! This week lots of new children from our school rose to the challenge and came and tried the 2km run. We had lots of younger children as well as older children which was fantastic! Well done all children and parents! A massive congratulations to our U11 rounders team who played in a tournament at OSA against lots of other schools in the local area. The team did amazingly well winning all the matches in their group and got into the final against St Josephs. Sadly for us we lost on the final ball of the game... but we showed great passion and teamwork. Runners up for this year in this event. I wonder if we can beat that next year!!! 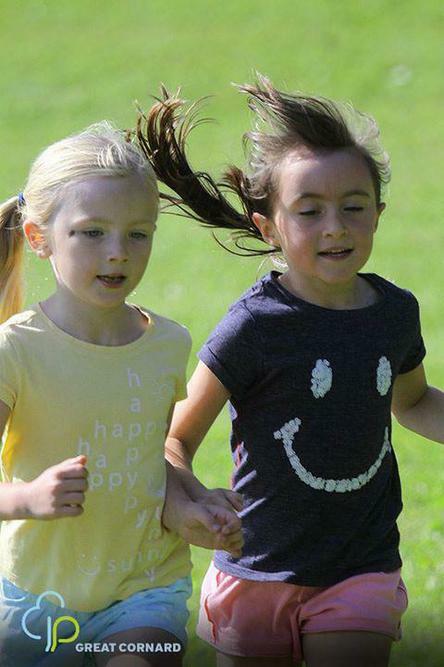 Well done to those children that have taken up the challenge of the Junior Park Run for children aged 4-14 at Cornard Sports Centre on Sundays at 9am. This is a great way of showing the links between sport in the local community with our school and will help us with our Sainsburys Games Award which we can apply for in late June. If you are free on a Sunday Morning come down and run in a fun safe and timed environment. Mrs Ponsford will be down there on the first and third week of each month in June and July. Following the netball competition run by Bures Primary at TGS our school then had the opportunity to take two U11 teams following Hi-Five rules at a bigger inter -chools competition at TGS. Although we didn't get through to any finals in this one, the children all played very well and Billy and Charleigh received School Games medals for showing passion and perseverance thoughout their matches in their teams. 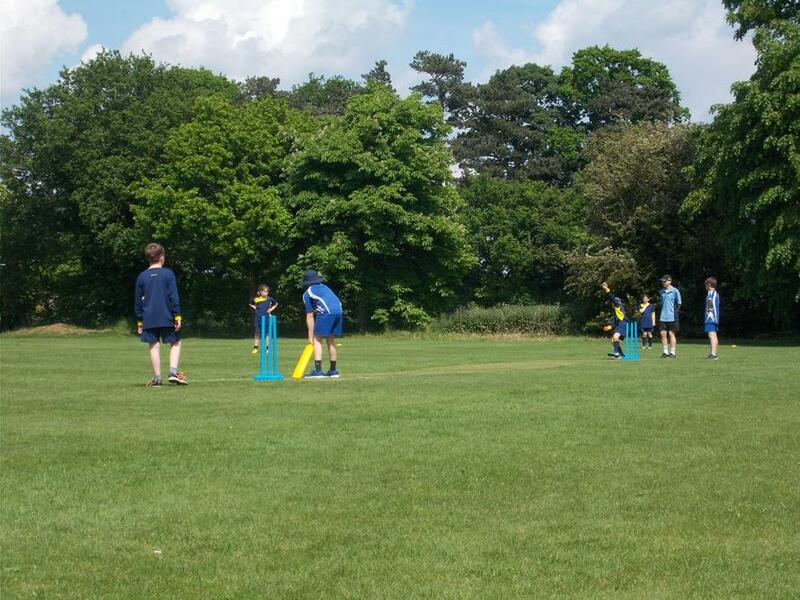 Congratulations to our two U11 Kwik cricket teams who played in a local competition at OSA In May. Both teams played very well on a hot and sunny afternoon. 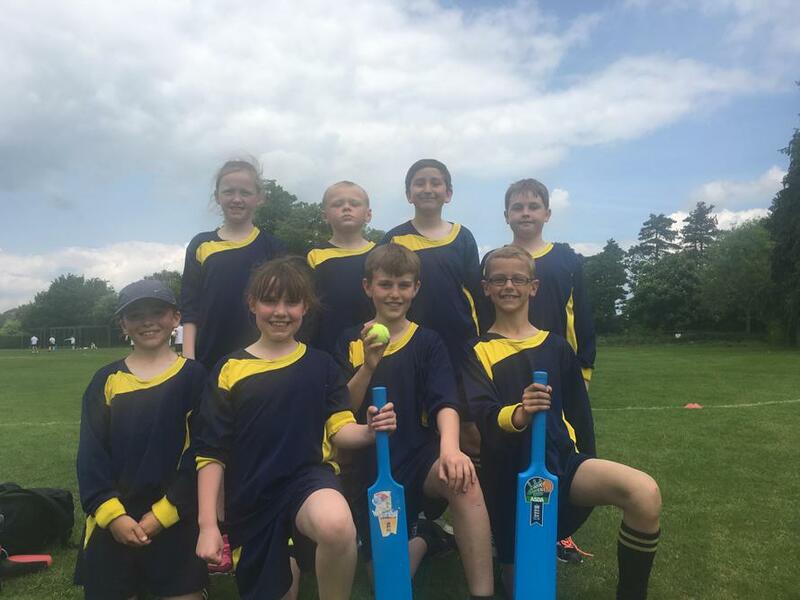 Our A team managed to win all their matches against local schools and are now in the Area Finals at Cavendish Cricket Club at the end of June. Congratulations to both our U9 and U11 netball teams that played in a local tournament at TGS run by Bures Primary. Our U9 team playing high five got to the final before finally coming runners up. Our U11 team played 7 a side, won all of their matches against local schools and won the competition. On the 10th of February 2016 2 teams, from our school, went to T.G.S (Thomas Gainsborough School) to play in the Sudbury School Games hockey tournament. I was captain of the B team, which included a squad of 6. In this squad was: myself, Billy N, Billy E, Emily G, Matthew B and James L. Unfortunately I could not play due to my last minute accident. But apart from that we won 3 games and lost 2. Our first game was against Great Waldingfield A. We won 2-0 where Matthew B scored both the goals in the match. The second game also went well as we won 2-0 against Long Melford. Billy E scored all the goals in this match. Eight children were selected and chosen to represent the school at the Sudbury Schools Swimming Gala at the Kingfisher Leisure Centre. Our school team participated in individual swimming races and finished with medley relays. Lenny W and Maisie T both did very well in their individual events winning their heats and came second overall in breast stroke for the boys and girls races. Oliver R and Gracie B won both their heats in freestyle and backstroke. To their delight they also won their events overall with the fastest recorded times. The whole team did make a fantastic effort and as a result we are very proud to say our team came third overall out of eight schools. Well done to everyone and thank you to all the family members that came to support and cheer us on. A fantastic afternoon took place at OSA with 32 year 5 and 6 children at the sports hall indoor athletics competition. 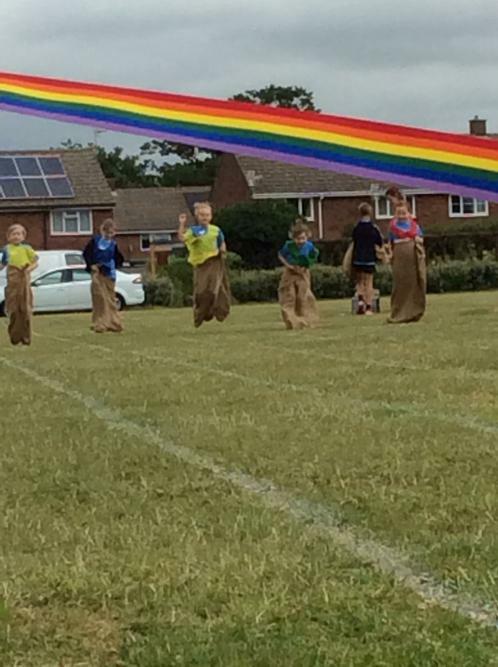 During the afternoon children were able to take part in a variety of field and track events. 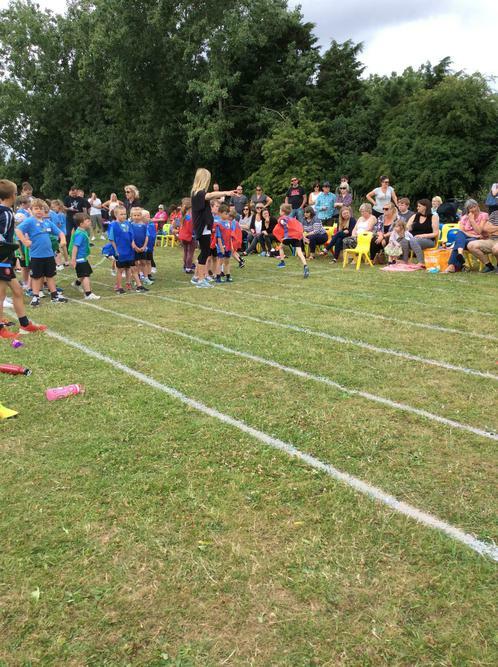 Our school saw individual successes in running relays by Matthew B, Thomas TT and Lenny W and in jumping events by Rosa S and Emily C.
Well done Elders class for all making such a fantastic effort together! Congratulations to our Tag Rugby teams who did us proud at OSA playing in a local tournament. Both teams played extremely well showing great running dodging passing and tagging. Our first team managed to win all their matches against 4 other local schools before finally being beaten in the final by St Josephs. Sainsburys Games medals were also given to our players for great team spirit and courage. Another fantastic success story but this time to our U9 team who played in the first U9 competition this year against other schools in local area at OSA. Our team did a fantastic job beating all the teams in their group before winning the semi final and then beating Acton Primary in the final! Winners!!! Miss Napper and Mrs Ponsford were thrilled. Well done everyone! Congratulations to the U11 football team who played in A tournament at OSA against other local schools. Our team won all the matches in our group, won the semi final before finally losing 2-1 to our rivals Acton in the final. An excellent performance from our team and well done to Billy E for getting a Sainsburys Games medal for showing passion throughout matches.